Get the full power of cloud - behind your firewall. 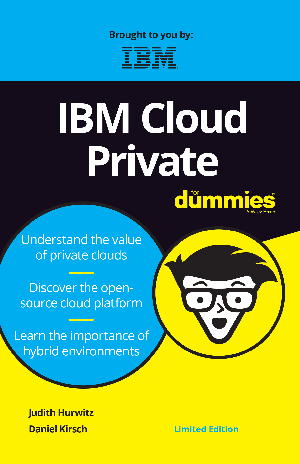 For IT organizations looking to build a private cloud, IBM® Cloud Private allows them to do so with confidence. IBM Cloud Private is a high impact, enterprise-grade application platform for developing and managing cloud or on-premises, containerized applications. You can on board fast with core IBM Cloud Private services that match your business and technical objectives, both immediate and long term. Download the e-book and gain insights into how private cloud meets the evolving needs of computing.